As I hope most everypony knows, pink ponies are resistant to physics. Some can even brake the fourth wall! Here are 3 prime examples! It took a lot of restraint on this one to give up center stage. It took 3 revisions actually before I finally decided to surrender the limelight to Pinkie Pie. She deserves it. Pinkie Pie is the pinkest of all pink ponies. She has the highest resistance to physics and the most 4th wall shattering capability. 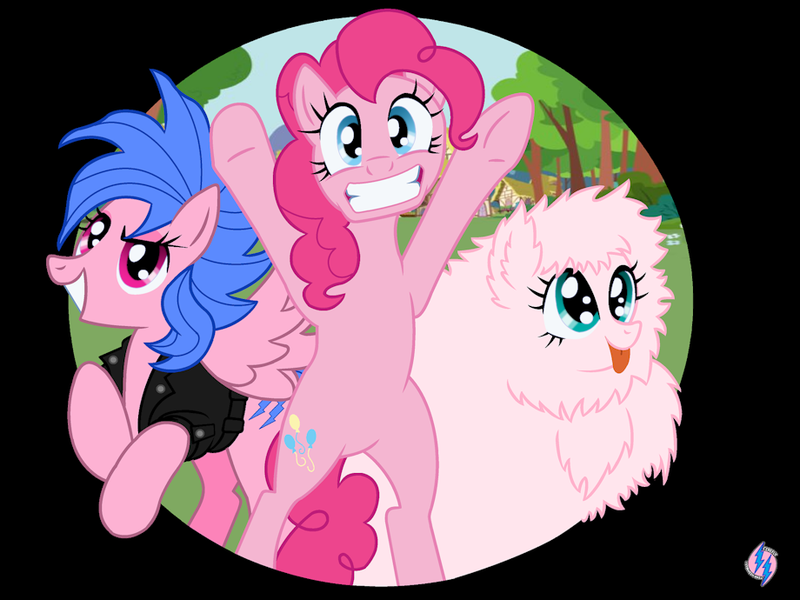 My Little Pony and Pinkie Pie are copyright of Hasbro and was developed by Lauren Faust.